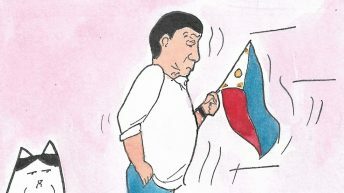 MANILA — In the two years that President Duterte has been in power, two government regulations on contractualization have been released – the DOLE Department Order (DO) No. 174 and Executive Order (EO) No. 51. But most workers say these did not respond to their problems, resulting in the persistent eruption of labor disputes. In the past two years, at least 25 workers’ protest actions and strikes have been launched, all traceable to the problem of contractualization. 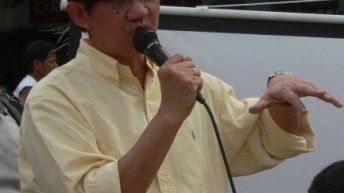 Of these strikes, those monitored by the labor center Kilusang Mayo Uno (KMU) were disputes due to regularization, union-busting and illegal job termination. 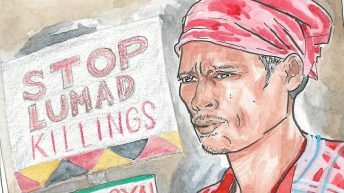 Finding these intolerable, some Filipino workers have launched strikes and protests. But in the strike area, most workers are being harassed by the company they used to serve. 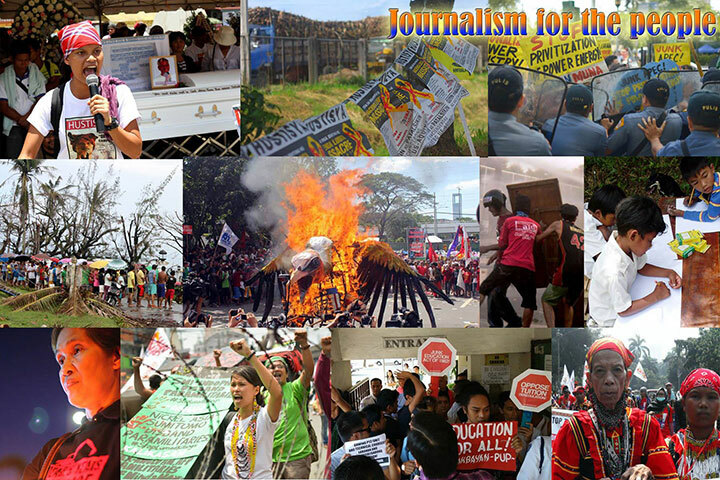 Last June 14, the picket in Bulacan of NutriAsia workers was forcibly dispersed by the police. On July 3, in Laguna, the police and security elements also forcibly entered the Middleby factory in Laguna to dislodge the workers from their sit-down strike. 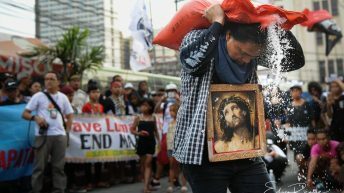 For days before that, the striking workers’ food support had been barred from entering the Laguna Technopark where the workers were on strike. Aside from launching strikes, workers have launched boycott campaigns to further raise their calls for regularization, direct employment relations with the principal, and wage increase. 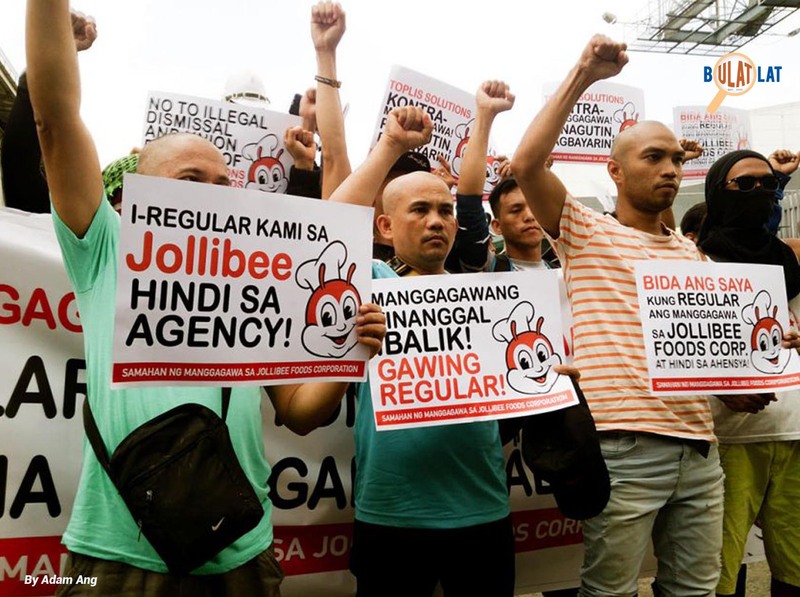 Laid-off workers of NutriAsia and Jolibee have asked consumers to boycott NutriAsia and Jollibee products. “Boycotts are one of the weapons of the workers to push the capitalists and even those in DOLE to take concrete actions,” Pajel said. 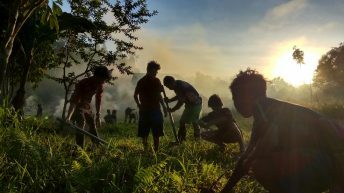 Amid the strengthening calls for regularization and national minimum wage, the deliberate disregard of companies and establishments have intensified the labor disputes in the country. 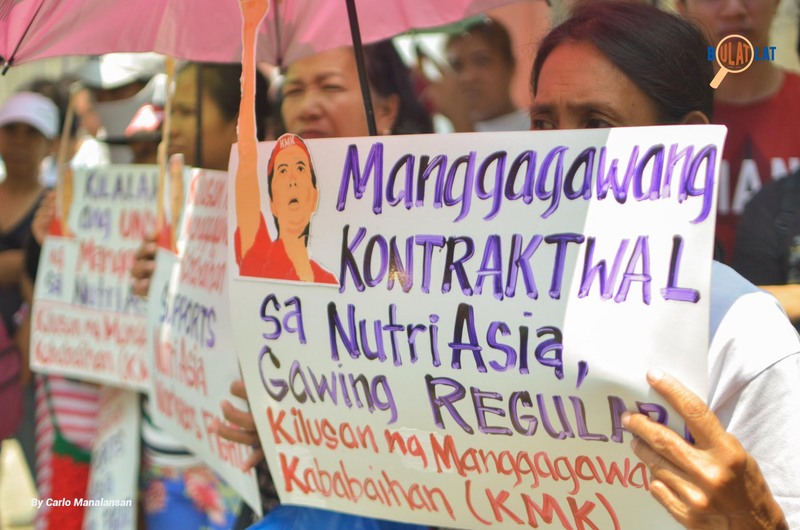 In Nutriasia, over half of its workforce, or no less than 900 workers, have remained contractuals despite working in the same company for more than a decade. In the Pangilinan-led PLDT (Philippine Long Distance Telephone Company), about 7,000 workers have been demanding for regularization for almost two years now. The Department of Labor and Employment (DOLE) rejected the telecommunication company’s request to reverse the decision on regularizing its workers. Instead, it gave PLDT 10 days to process its compliance order. “The compliance order has been issued to PLDT since 2016 but until now, it is one of the top companies in the country that practices illegal contracting. Based on our initial inspection, we have discovered that the company has been illegally contracting almost 9,000 workers. Time and again, we have ordered them to undergo mandatory conferences and regularize their workers”, DOLE Undersecretary Joel Maglunsod said in an interview. PLDT is one of the country’s biggest, if not the biggest, telecommunication companies. Aside from it, 3,337 companies in the country have been identified by the Labor Department as practicing illegal contracting. These include big-brand companies such as the Jollibee Foods Corporation, Monde Nissin, Unipak Sardines, Middleby Corporation. 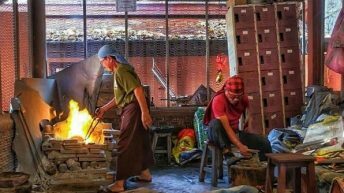 The Labor Department has seen that labor laws are being violated and the workers who render services for more than six (6) months remain contractuals without benefits. “Our compliance order is inclusive not only of the regularization of thousands of the workers, but the refunding of their underpayments, salary deductions and other benefits. It should guarantee them their rights to unionize, collective bargaining, security of tenure, strike in accordance to the laws, and right to just and living wages. For numerous times, the department has already called for exit conferences to make this clear among employers, contractors, agencies, and workers”, Maglunsod said. As for PLDT, DOLE has issued a cease and desist order to PLDT’s service contract providers, but instead of providing relief to the workers, it’s now a justification being made by the telco for poor quality service. “They (companies) have been skirting the laws. Now they want to pin down DOLE, and claim that it was our fault. What we want is for them to comply with the law, because the workers are the ones at stake here,” Maglunsod said. “PLDT, Jollibee, Nutriasia, and other companies that have long been practicing illegal contracting have circumvented the laws, beyond what are stated in the Labor code. The main principle is clear; if the company directly hired the workers, then they shouldn’t be transferred to agencies and other contractors. Doing so is illegal”, Maglunsod concuded.